Looks really cool. Well done! Obviously a beautiful piece. 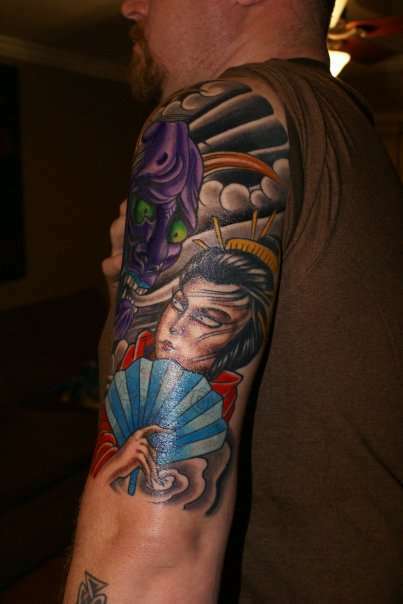 Saturation is wonderful, this is a very strong tattoo. Blends are super smooth and whatever you covered, was done perfectly. Well Done! !